What is the purpose of swing gates? 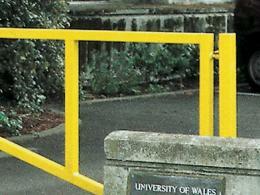 This option from our swing gates collection is a simple but effective way to manage vehicle traffic both in and out of any establishment, facility, or parking area. These items are sturdy, reliable, and easy to use. 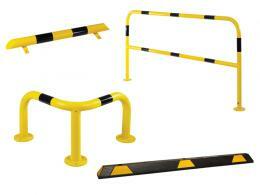 This product can be used in any location where there is a need to manage vehicle entry. It is perfect for use at schools, medical facilities, residential areas, parking garages, parking lots, and businesses. This item is relatively simple to install and can be used by almost anyone. Whether you want to protect your residential area, or you need an option for a school or parking garage, this item is a simple but excellent choice. 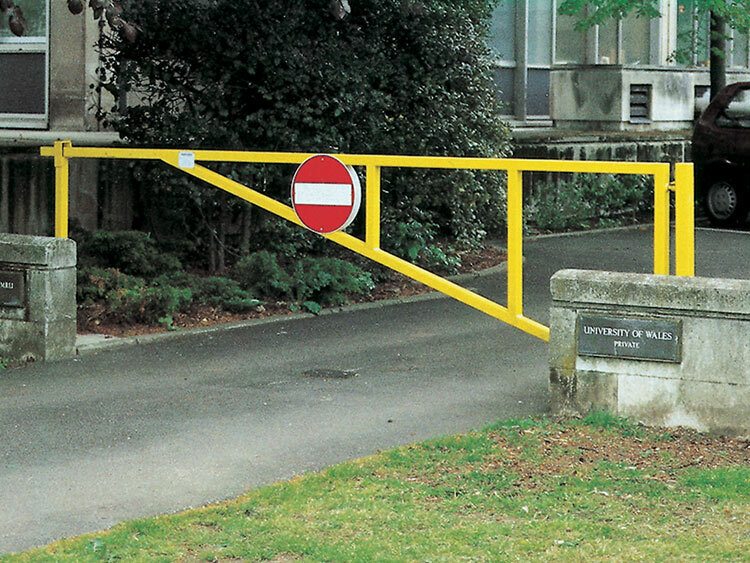 One of these swing gates is the perfect solution to any situation where you need to restrict access to an area. This item spans any roadway up to 7m in a single span. If you need a longer span, you can purchase two items to create a double span, which reaches 12m. These items rotate all the way to 90 degrees in either direction, giving you the flexibility that you need. This product has a steel tube construction. You can choose from a red or yellow powder coating. The arm receiving post comes with keys and a padlock for your use. 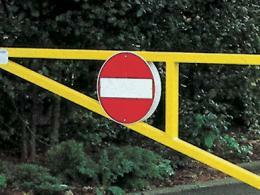 You can choose between a STOP and NO ENTRY sign, depending on what your purpose is. This item is easy to install. All you have to do is have a solid concrete base and the ability to drill eight holes. You can purchase an option hold open post if you wish. This post is lockable. If you need help installing this item, we do offer installation at an extra cost. If you’re interested in this, simply let us know.